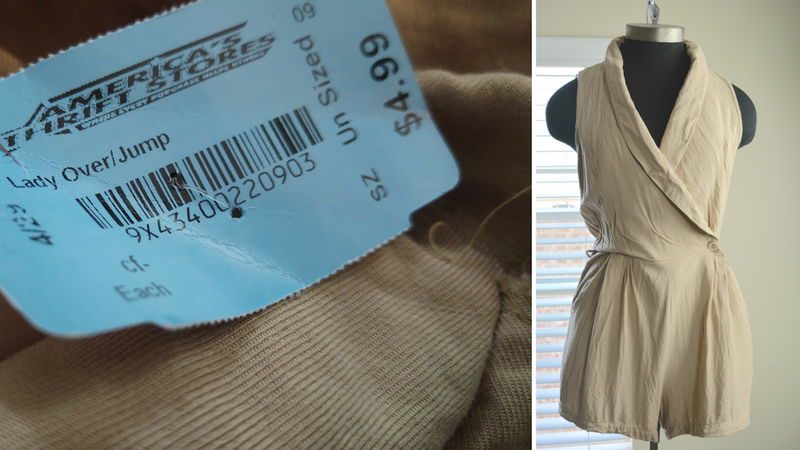 I spent $54 in this month's thrift haul but it was worth it. Summer is coming and I need so many things. Since I've reduced, a sizable portion of my clothes no longer fit. This haul is all about comfort and basics. 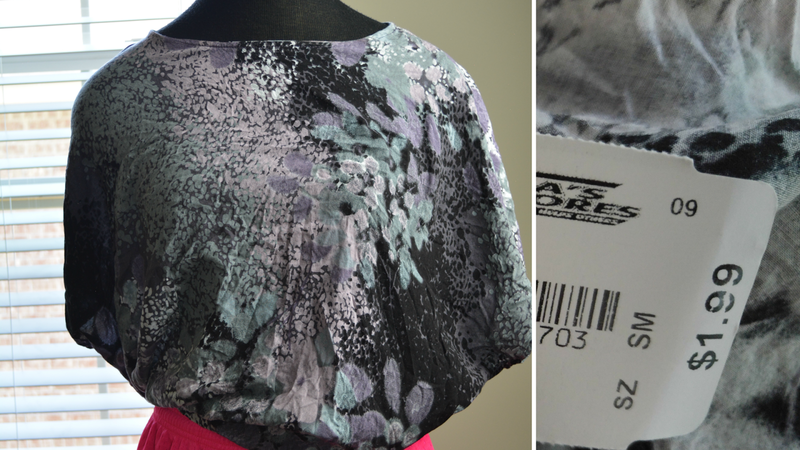 I'm really feeling uncomplicated - no fuss - easy on easy off clothes for summer. Georgia is about to get hot. The price was steep for a black knit dress. I get it though. 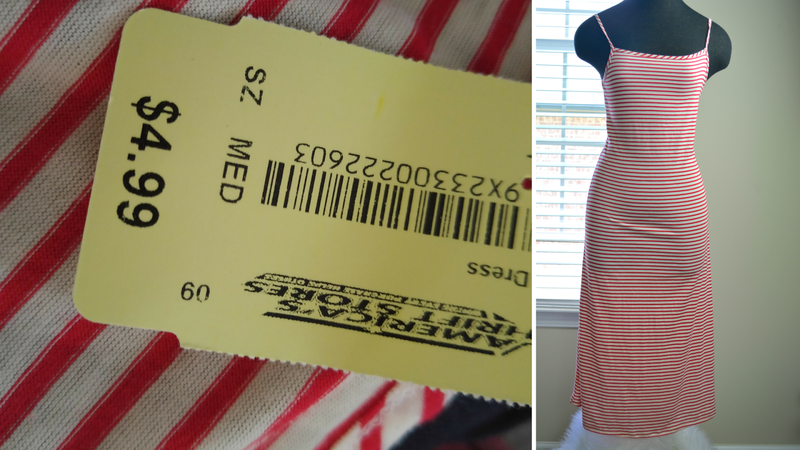 They had to jack the price up a bit for a designer dress. 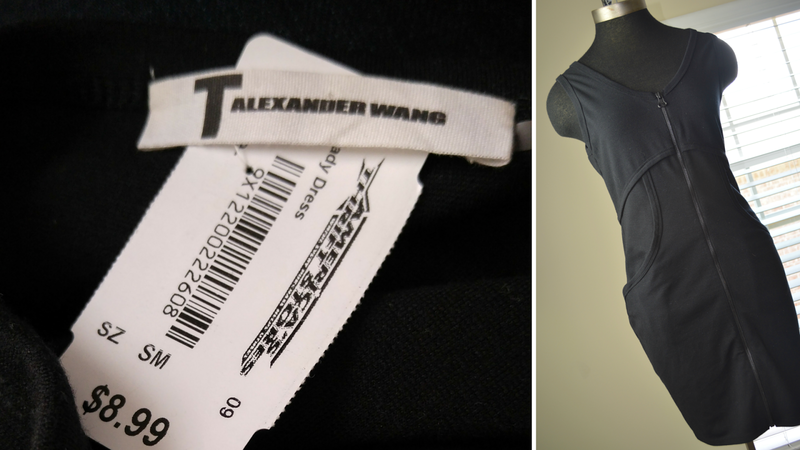 It's T by Alexander Wang. The retail price was $145. It's well made. It has great details. It's worth it. I've never owned a zip front dress and now I want all dresses to be this way. No interference from the hair and very easy to throw on. I don't normally buy blah colored clothes but I love the style of this romper and it will look great with colorful accents. I can dye it if it doesn't work out. Romper #2 is a skort. It looks like a skirt in front but shorts in the back. I like the vintage floral look of it and will wear them with flat sandals as these shorts are vert short. Anything more than a flat will make me feel like a tart. The square neckline reminded me of the 80s. I'm not sure if it is vintage or not but it's a great summer dress to throw on and go. 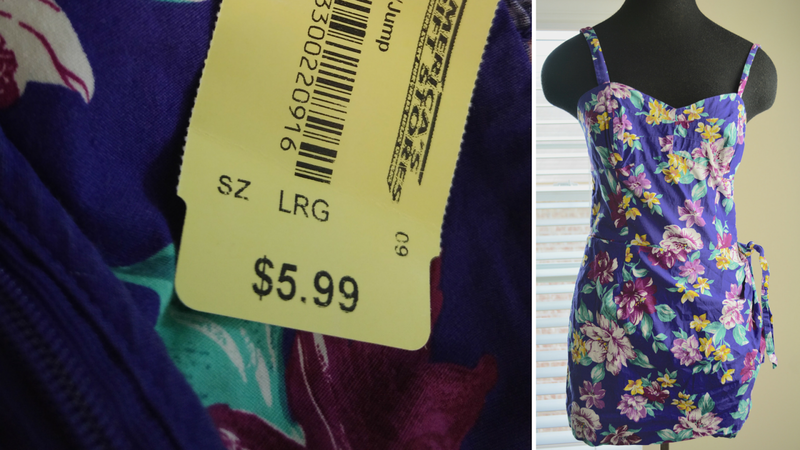 Half off price tag too! Striped tee was on my thrift wish list to pair with floral skirts. 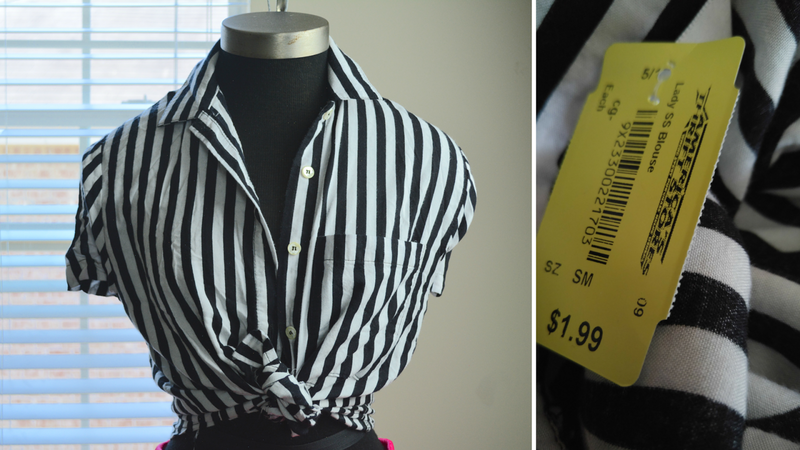 I didn't find a tee but this $1 (half off) 90s button up will work. I admit it. 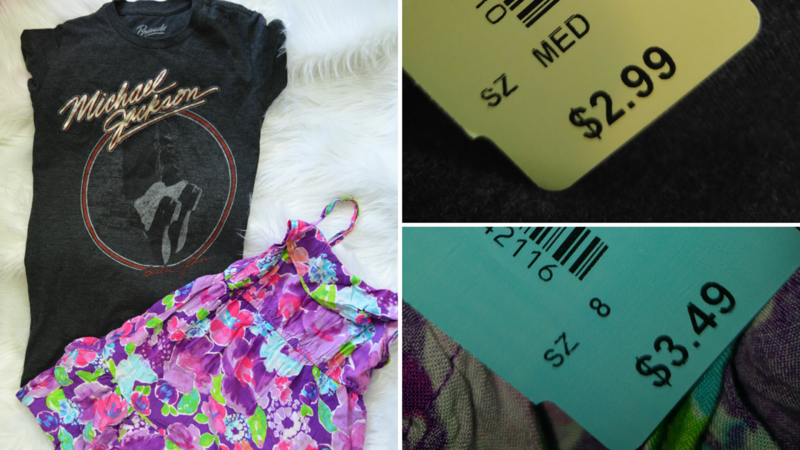 The $2 price tag was a big draw. It's soft and comfortable too. I like the kimono sleeves and elastic waist. 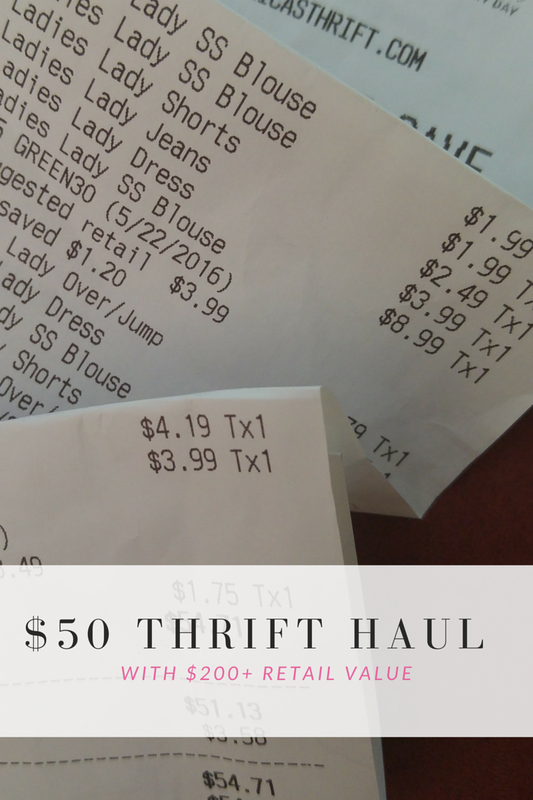 I'll pair it with all of my recent high waist finds. 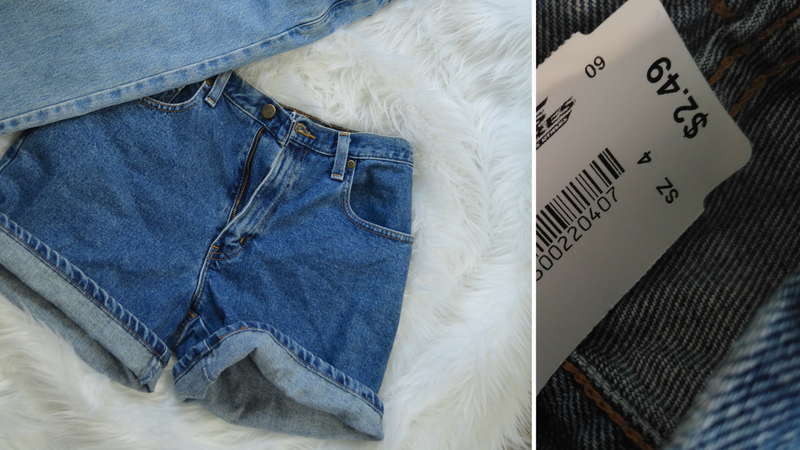 High waist jean shorts because summer is hot but I want my belly button covered. The length wasn't quite right so I've already cut away the jeans hems and left the edge raw. I am in need of more athletic gear as I work out everyday. 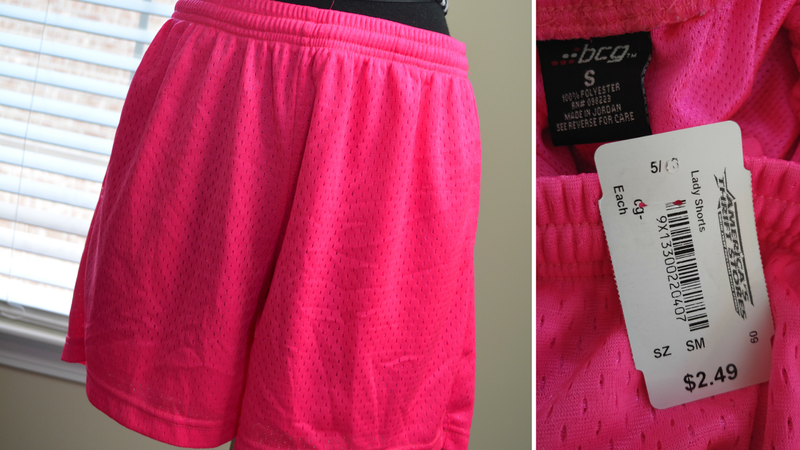 I loved the hot pink color of these basketball shorts. Because of the great color, I think they can go athletic casual if worn with sandals. 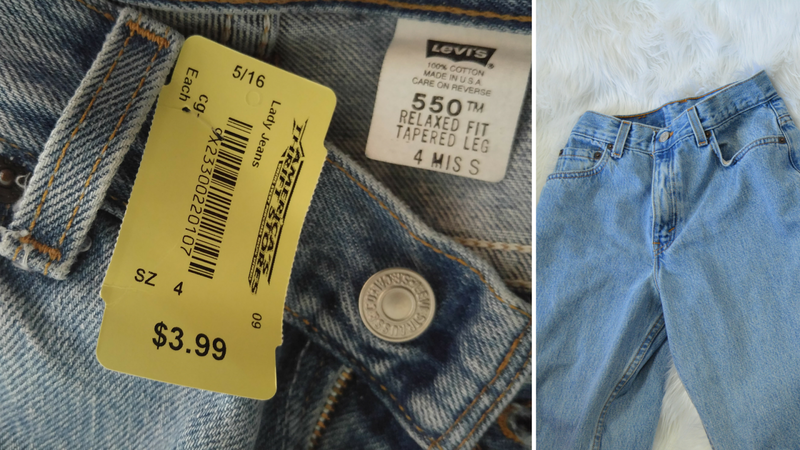 Feeding my love of long zippers with another pair of vintage Levi's. I was looking for a pair of white shorts to wear with my off the shoulder dashiki top. 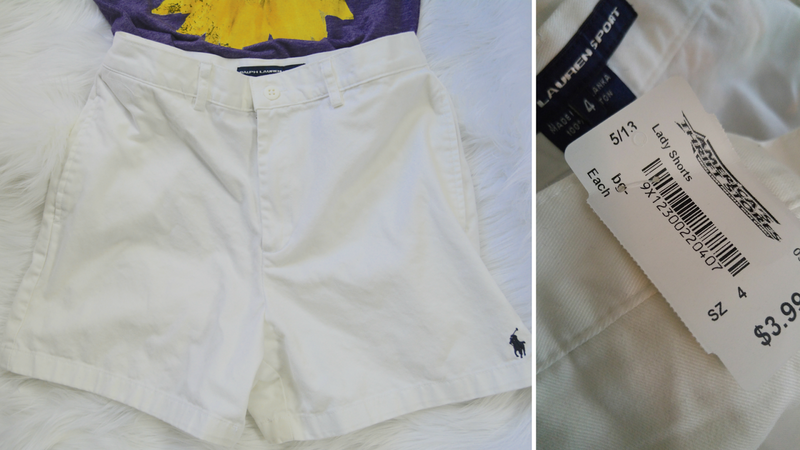 I found these old school Ralph Lauren Sport shorts before I saw the ones below. The bottom pair is a much better length for the top. I really liked the high waist on these so I'm going to dye these chartreuse. Yay! Another dye job coming soon. I live in graphic tees. This one had two of my favorite colors - purple and yellow. I will likely wear it to work out in or throw it on with jeans. It looks good with my second white shorts purchase. I didn't need both but when you're searching for a good white at the thrift store and end up finding two, you keep them. Luckily, both of these items were green tagged making them 30%. I wouldn't have bought them at their original price. 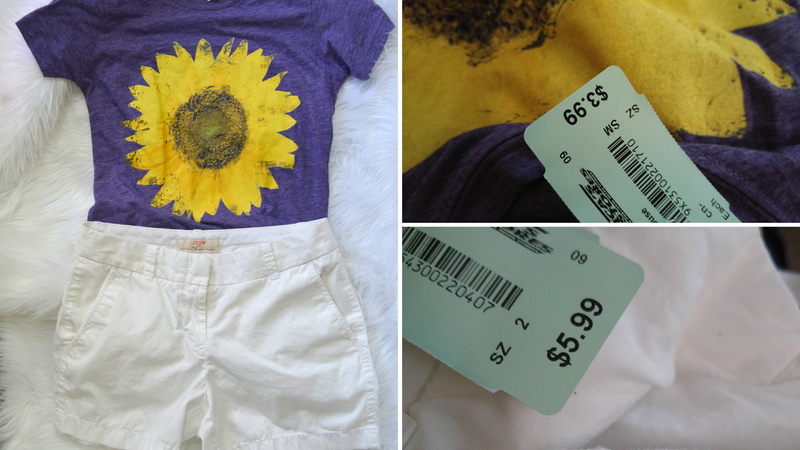 I rarely buy Violet clothes at thrift stores. She gets new clothes from her grandma and I supplement with Target and Walmart. Thrift store kids clothes are beat up for the most part. I only skim through those racks occasionally. She's growing fast and needs new (or gently used) everything just like mommy. Violet is a huge Michael Jackson fan so I had to grab the Billie Jean tee for her. She loves to get extra fancy and has no qualms about going out to play in a formal dress. Hopefully she'll accept this easy to clean and wear day dress as an alternative.